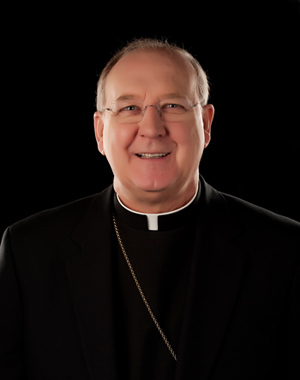 Bishop Farrell invites you to March for Life with him in Dallas! Another Catholic Pregnancy Resource Center to Open in Dallas! “Sadly, since January 22, 1973, our country has flouted this commandment [Thou Shalt Not Kill], with over 53 million innocent lives lost by abortion alone, including 14,000 unborn children killed each year in the nine counties comprising the Dallas Diocese. Yet, in the face of this horror, there is reason for hope. Since the last Texas legislative session, several abortion-referral centers have closed, and the number of weekly hours in which the five Dallas abortion centers are committing abortions has reduced by twenty percent. On January 19th, we will come together in large numbers to witness to the city of Dallas our unwavering devotion to continue these efforts, to leave behind us the desert of abortion, usher in its “exodus” from our community, and embrace the promise of life!” Read entire letter from Bishop Farrell here. 12:00 p.m. Dallas March for Life with Bishop Farrell from Cathedral Plaza to ecumenical Rally outside the Earle Cabell Federal Courthouse, where Roe v. Wade was first filed in 1970. A year-round part-time paid position is open for a CPLC Database Assistant who will also serve as Bishop’s Dinner Lead Reservationist from February to April. Part-time hours year-round will be 15 hours per week except for the month of March, when 40 hours of work per week will be needed. Work will be done at the CPLC office, 14200 Midway Road, Dallas 75244. The job will consist of CPLC database entry support during non-Reservations period (before/after dinner event), and entering and managing reservations for the Bishop’s Dinner, primarily the month of March. Click here to review complete job description. The White Rose Women's Center has been enormously blessed with the opportunity to open a third center next door to the Planned Parenthood abortion facility on Greenville Avenue. At this location the White Rose will continue its mission to save the unborn and serve women in crisis pregnancies. Our peaceful, prayerful presence there will send a powerful message – and will save lives. We are calling on pro-life Catholics to come to this new White Rose center to pray for an end to abortion. We would like to invite organized groups and individuals to sign up for regular prayer hours Wednesday through Saturday inside our chapel at this location. There is a sign-up process that all prayer warriors will need to follow. To sign-up please email whiteroseprayerwarrior@gmail.com or call (214) 824-5942. Sponsored by White Rose Women's Center. The new annual report released by the national Planned Parenthood abortion business shows it did more abortions in its last year than ever before in its history.